Pennsylvania hard ciders deserve more attention. Crocodile Dog Marketing (CDM)—the host of events such as Brew Kids on the Block, Taste of PA, Yorktoberfest and Hibernation—believes that our state’s cideries and meaderies deserve to sell and market their products at events instead of the usual sampling room. Last August, CDM partnered with the Lisburn Community Fire Company and launched an event called Hard Pressed with wine samples, great food and entertainment all for a unique price of “Pay What You Want” just to prove it could be done. 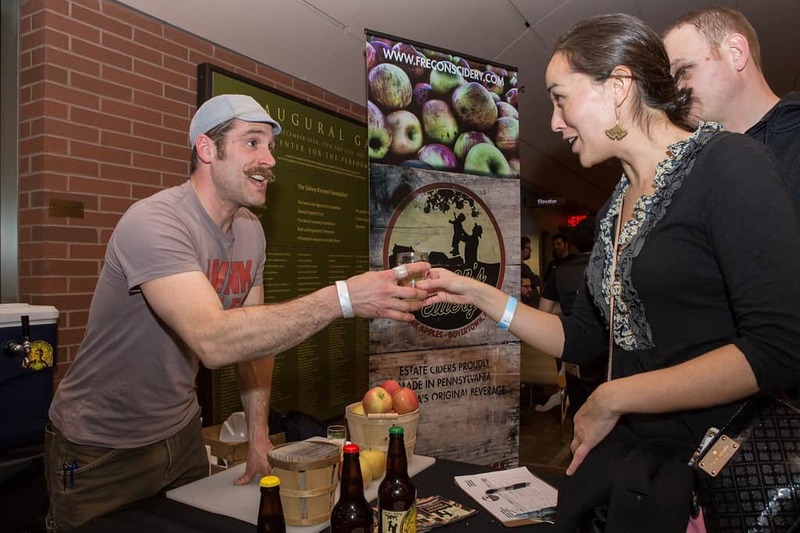 It was the largest collection of Pennsylvania ciders at any event and with most participants selling out of product. This year, Hard Pressed: A Celebration of Cider and Wine will take place on Saturday, July 23, at the Lisburn Community Fire Company from noon–5 p.m. Tickets will go on sale May 16. For more information and view a list of participating cider producers from last year, join the Facebook event page. Attention Cideries: As long as you have a limited winery permit (which CDM can help you file), you can sell your product at events! If you are operating under a brewery license, they can work this out as well. Each participant is given six free passes to the event for promotion. Give them to employees, raffle them on your social media pages or find another creative way to dispense them. The event will be limited to 15 participants, so consider signing up soon. Each cider producer will be given a 20-by-20 space; tables, chairs and 10-by-10 tents will be available for rent. Electricity, ice and parking will be free; the festival will operate rain or shine. Setup will be available on Friday, July 22. Find Lisburn Community Fire Company at 1800 Main St. in Mechanicsburg; phone: (717) 766-3994.